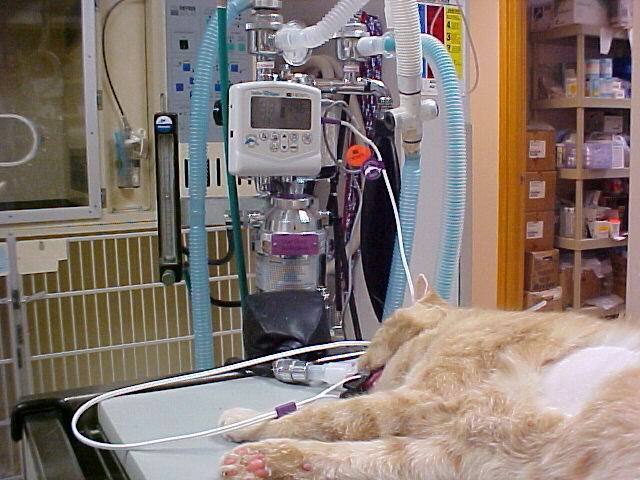 We use only isoflurane gas anesthetic. It is currently the safest inhalant in Veterinary Medicine. One safety feature is that, to some degree, it is eliminated from the body by simply exhaling. This reduces the amount of work organs such as the liver and kidneys perform in breaking down and eliminating the drug. Some portions, however, are still eliminated through the liver and kidney, but at a very rapid pace.